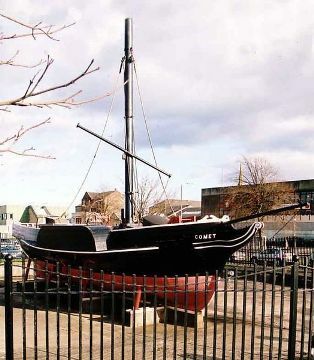 The Comet Festival takes place in Port Glasgow once a year to commemorate the launch of the Comet. The Comet was the first passenger carrying steamship in Europe. The festival has been part of the Port Glasgow community since 1986 when a group of local people were looking for ways of restoring some pride in the area in an effort to lift morale in the community. This lead to the idea of putting on an event where the community could get involved and enjoy came about. Originally intended to be a one day event, the huge amount of interest generated meant that this was not going to be adequate, and therefore, it was decided that the first events should be held the following year 1987 to allow the group of volunteers committee members time to plan the various events.